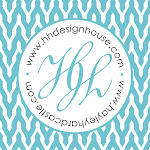 We are starting something new and exciting on the HH Design House blog. Each week, we will feature a wedding (or party) that we've worked on in a post. 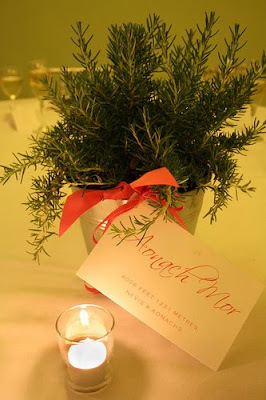 We hope you will check back weekly to see our featured events! 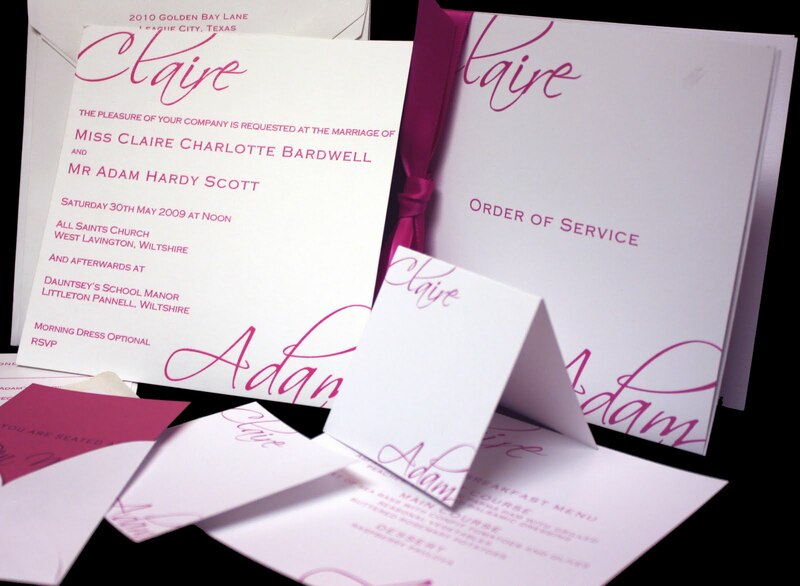 With all of the excitement about the Royal Wedding, we were reminded of a wedding we did from across the pond. 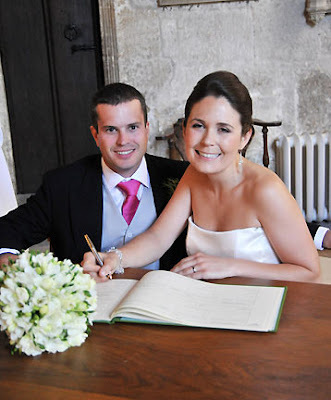 Claire and Adam were married in England in 2009. Hot pink and white were the colors selected by the bride. 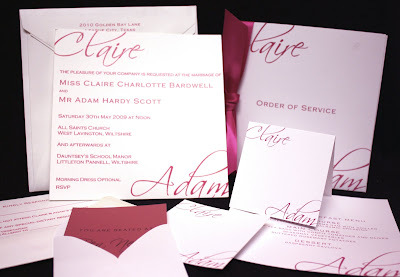 The couple used invitations, programs, place cards, and other paper goods the Bride custom designed with Hayley. The Beautiful Couple "signing the registry." Claire and Adam are using the programs designed by HH Design House. The groomsmen's ties had the wedding date embroidered on the tag of their ties. How cute! 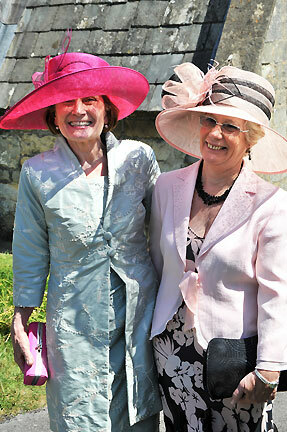 Even the guests got in to the spirit of the color scheme, including this one who rocked a hot pink hat! Why can't we bring this fashion to the states? 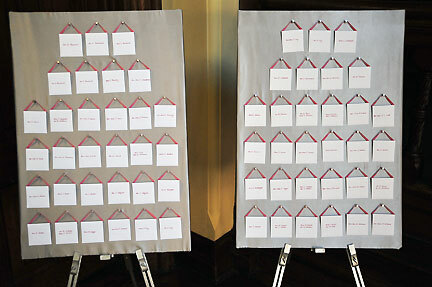 The placecards for the reception were placed on a board. Instead of using numbers for table identifiers, the couple used names of the mountains they have climbed together on cards tied to the centerpieces. 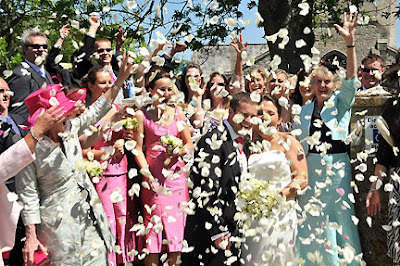 Here are the bride and groom standing in a meadow in the beautiful English countryside. 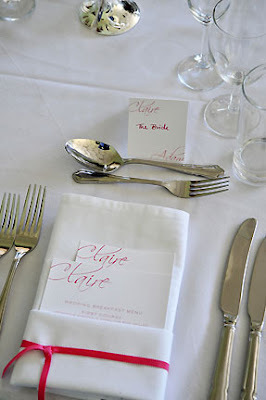 The elegant place settings featured menu cards designed by Hayley. Dancing was a must at the reception. 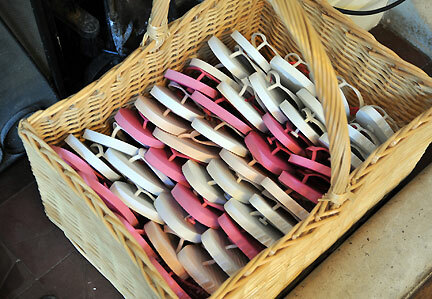 The bride and groom provided flip flops for the guests' tired feet, so they won't ever miss a beat. 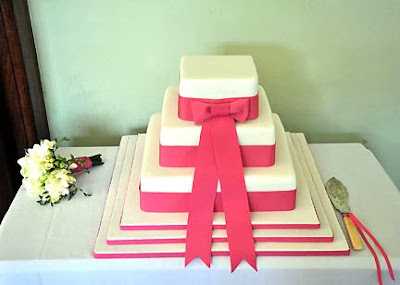 What a beautiful and charming wedding! 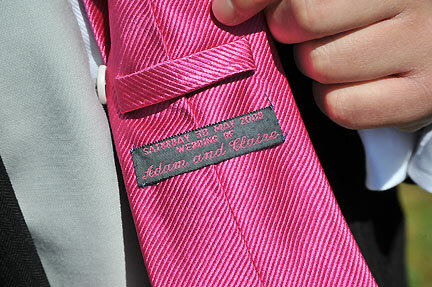 We hope you liked what you saw from our "Wedding of the Week" post. There are many more to come! 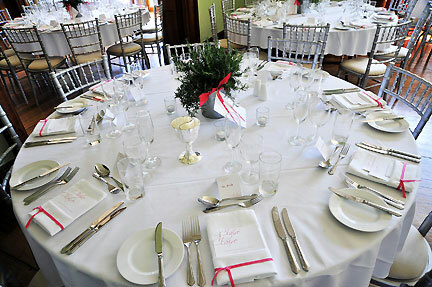 Please visit our website for more wedding ideas. Don't forget to "like" us on Facebook and suggest us to your friends.